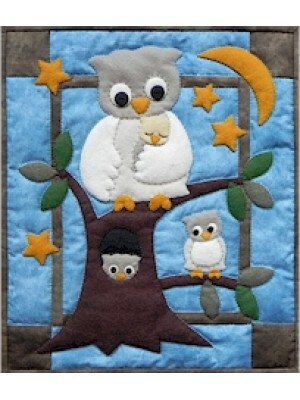 or want to make a quilt for the first time, then a kit could be just right for you. 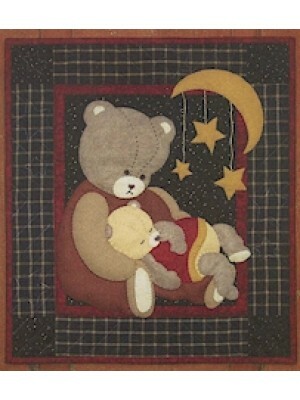 Baby Bear Wall Quilt Kit 13"x15" (33x38cm) by Rachael's of Greenfield This little wall quilt holds all the devotion of a mother's love. 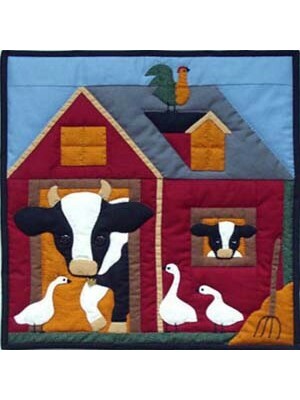 Nestled peace..
Cow wall hanging kit by Rachaels of Greenfield A cow and her calf peek from the sheltering barn eager to welcome a new day. Geese gather to joi..
Fairy by The Henley Studio for Makower. 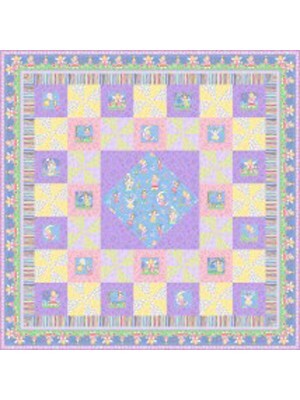 Quilt designed by Heidi Pridemore Pretty fabrics with fairies, stripes, and flowers in pink, blue, yellow and..
Owl Family Wall Quilt Kit 13" x 15" (33x38cm) by Rachel's of Greenfield Bright eyes and bright stars dance in the evening sky as Mother Owl and two .. 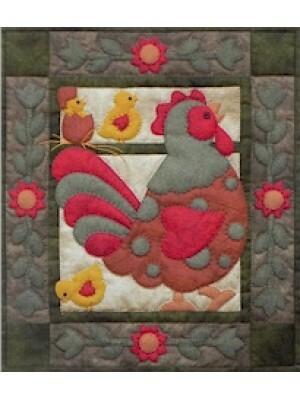 Spotty Rooster by Rachel's of Greenfield This kit measures approx 13" x 15" (33 x 38cm) The kit includes All fabarics and woolfelt to complete qu..
Alison's Flowers Quilt Kit designed by Lynne Goldsworthy of Lilysquilts Finished size 48" x 60" (123 x 152cm) Very pretty quilt kit of floral fabric..
Angel Advent Calendar Kit Kit to make a 24 pocket Advent calendar of a Christmas Angel or fairy with a country folk feel using a printed panel from M.. 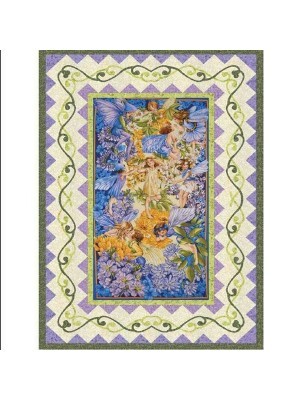 Dawn Fairies Quilt designed by Heidi Pridemore Beautiful Flower Fairies Quilt using the Dawn Til Dusk Panel and Fairy Frost and Fairy Frost Gli..
Dear Santa is a fun whimsical Advent Kit. 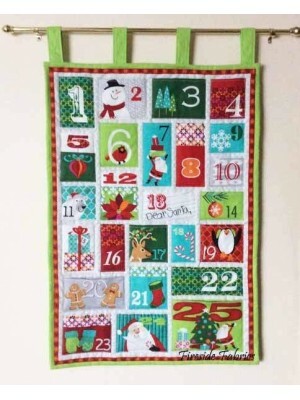 When made up it has pockets large enough to put small gifts or treats in. 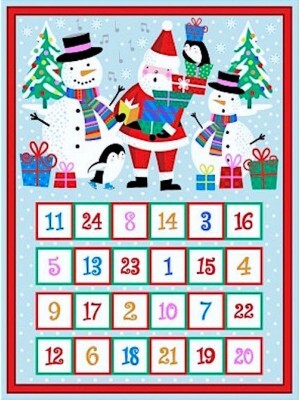 Finished Advent Calend..
Frosty Advent Calendar Kit Kit to make a 24 pocket Frosty Advent Calendar using a printed panel from Makower. 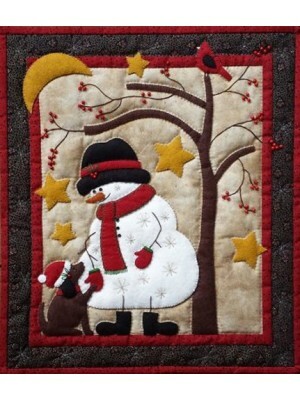 This shows a magical winter ..
Frosty and friend kit by Rachel's of Greenfield Together under a sheltering tree, a jolly snowman and his loyal pooch share a moment of joy. 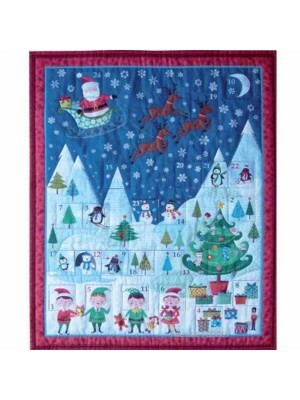 Bright s..
Jolly Santa Advent Calendar KitKit to make a 24 pocket Advent calendar of a Jolly Santa and his friends. 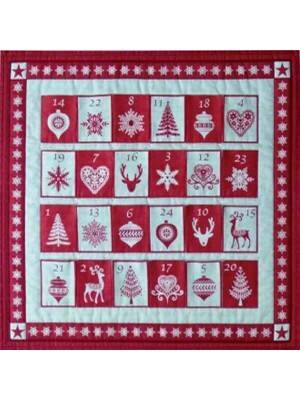 The panel is a printed panel of a..
Kimono Quilt KitDesigned by Lynne Goldsworthy of LilysquiltsFinished size 74" x 74" (1.9m x 1.9m)This is a fabulous Quilt Kit of kimono's in various c..
Wonderland Advent Calendar Kit Kit to make a 24 pocket Scandi 3 Advent Calendar using a printed panel from Makower. 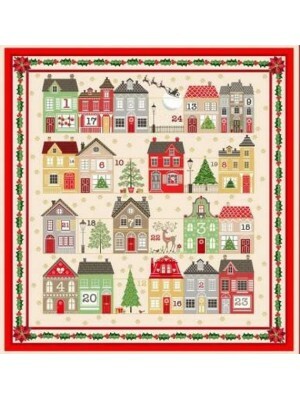 It has little pockets ..
Silent Night Advent Calendar KitKit to make a 24 pocket Advent calendar of a quaint christmas town ona cream background embellished with metallic gold.. 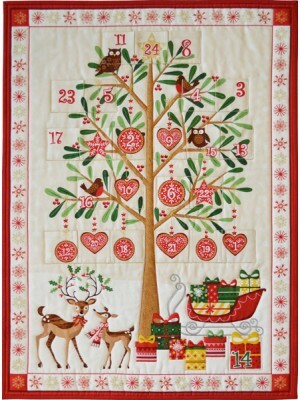 The Tilda Homemade Angel is the perfect sewing room companion. 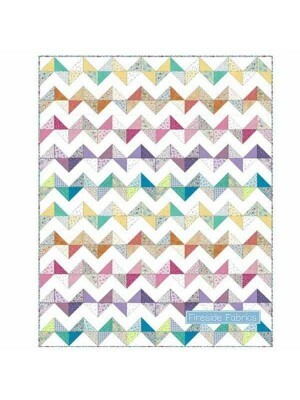 She has a vintage, primitive shape which is new to the Tilda range and wearing gorgeous.. 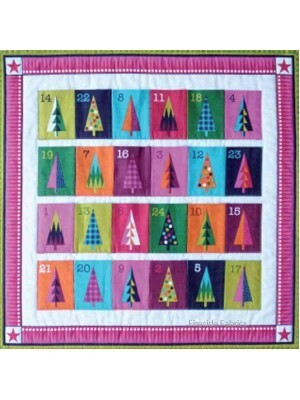 Kit to make a 24 pocket Advent calendar using a printed panel designed by The Henley Studio at Makower in green, red and cream and embellished with go..
Wrap it up Advent Calendar Kit This kit is bright and modern with Christmas Trees on each pocket. 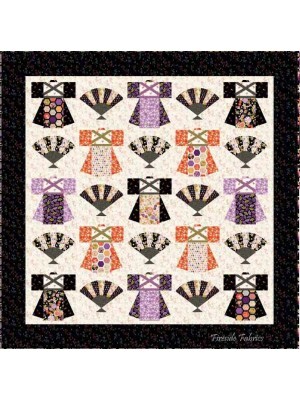 Finished sized approx is 20.5" x 21.5" (54 x ..